Our Boston, MA Bicycle Accident Lawyer Specialists and Expert Massachusetts Bicycle Accident Wrongful Death Attorneys Can Help You. Please Call Our Massachusetts Bike Accident Attorney Experts Today at 617-787-3700. If you or a loved one has been injured in a Massachusetts bicycle accident, the best way to enforce your rights and obtain maximum compensation for your Massachusetts personal injuries and expenses is to contact one of our expert Boston, Massachusetts bicycle accident attorneys. 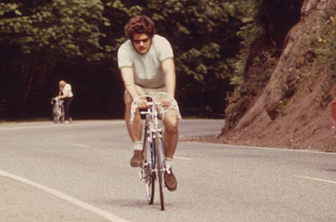 The Massachusetts bicycle accident lawyers at the Boston Law Offices of Gilbert R. Hoy, Jr. and Affiliates are dedicated to helping injured Massachusetts bicyclists. Contact our Boston, Massachusetts bicycle accident attorneys today at 617-787-3700 or email us at info@gilhoylaw.com and take the first step to vindicate your rights. Our experienced and highly skilled team of Massachusetts bicycle accident lawyers at our expert Boston, MA personal injury law office realizes that each client's situation is unique. Our Boston, MA bicycle accident lawyers provide individualized legal services tailored to meet your specific and personal needs. Our Massachusetts bicycle accident attorneys understand the nature of Massachusetts bicycle accident injuries. We also possess a sophisticated and thorough knowledge of Massachusetts bicycle accident law and know how Massachusetts law specifically relates to Massachusetts bicyclists and the rules of the road. Our experienced team of Boston bicycle accident lawyers can help you resolve your Massachusetts bicycle accident case for the highest settlement amount possible. Our Boston, MA Bicycle Accident Lawyer Experts Are Available 24/7. 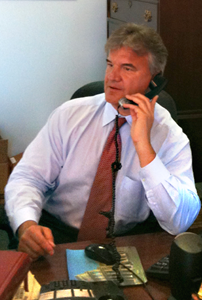 Our Massachusetts Bike Accident Attorney Advocates Are Waiting for Your Call at 617-787-3700. Massachusetts law limits the time you have to file a Massachusetts bicycle accident injury claim, so call our Boston, MA bicycle accident lawyers today at 617-787-3700. We do not charge anything until we recover money for you. Our Boston attorneys will also help you get your medical bills paid and your bicycle repaired or replaced at no additional fee. 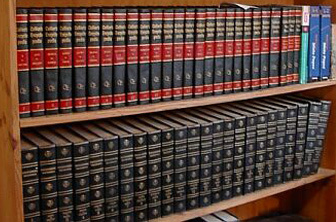 There is no obligation and we will provide you with clear, frank and honest legal advice. Call Our Expert Boston Bicycle Accident Attorneys or Boston Wrongful Death Lawyers Today at 617-787-3700 or Email Us at info@gilhoylaw.com. The Boston bicycle accident lawyers at the Boston Law Offices of Gilbert R. Hoy, Jr. and Affiliates have extensive experience and skill in handling all types of Massachusetts personal injury claims and lawsuits on behalf of injured Massachusetts bicyclists. People riding a bicycle have the right to use Massachusetts sidewalks, bike lanes and crosswalks without the fear that they may be struck by a motor vehicle. Often, however, Massachusetts bicyclists are struck by negligent operators of motor vehicles. That is when our team of highly skilled Boston, MA bicycle accident lawyers and Boston, Mass bicycle accident wrongful death lawyers can help you. 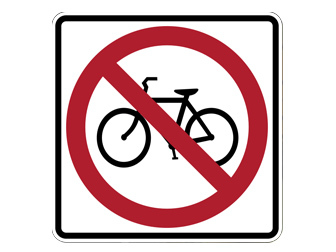 Massachusetts bicyclists are subject to the same traffic laws and regulations in Massachusetts that apply to Massachusetts motor vehicles. 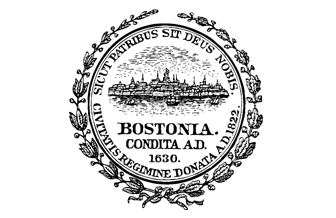 There are also additional Massachusetts statutes regarding bicycling in particular. Bicyclists have the right to expect that drivers of Massachusetts motor vehicles will operate their motor vehicles in a fashion that respects the rights of bicyclists to operate safely. When this does not happen, and a bicyclist is injured, our Boston, MA bicycle accident lawyer specialists are fully prepared, ready and able to protect a Massachusetts bicycle accident victim’s rights and ensure that justice is realized. In 2009, Massachusetts Governor Duval Patrick enacted new laws pertaining to bicycle safety. The new laws add additional precautions that drivers must take, and provide greater protection for cyclists. Safer Signaling: Although Massachusetts bicyclists have always been required to use hand signals when stopping or turning, the new law permits bicyclists to forgo hand signals if both hands are needed to operate brakes, shifters or in order to steer. Riding Two Abreast Permitted: The old law required bicyclists to ride in single file at all times. The new law permits Massachusetts bicyclists to ride two abreast, so long as all cyclists stay in one lane. However, Massachusetts cyclists must not hinder faster vehicles from passing. “Dooring” Bicyclists: “Dooring” is when a motorist opens their door into the path of a cyclist. When this happens, Massachusetts cyclists frequently crash or flip over their handlebars, causing serious injuries. Although Massachusetts drivers could previously be sued in civil court or charged in criminal court under certain circumstances, the new law now allows Massachusetts motorists, along with their passengers, to be fined for up to $100 for dooring a Massachusetts cyclist. Cutting Off Bicyclists After Passing: While the old Massachusetts law only required that motorists stay a safe distance to the left when passing, the new law prohibits a Massachusetts motorist from returning to the right until they have safely cleared the bicyclist. Squeezing Bicyclists in Narrow Lanes: If a lane is too narrow for a Massachusetts motorist to pass a bicycle at a safe distance while staying in the lane, the motorist must use another lane to pass. If passing in another lane is also unsafe, the motorist must wait until a safe time to pass. 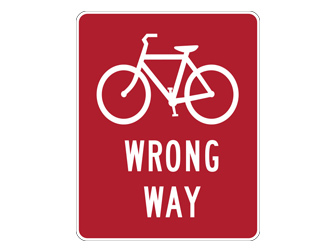 “Right-Hooking” Bicyclists: A “right-hook” is when a motorist makes an abrupt right turn too close to a bicyclist, causing the cyclist to crash or make an emergency maneuver to avoid crashing. Under the new law, Massachusetts motorists are now prohibited from right hooking a cyclist. 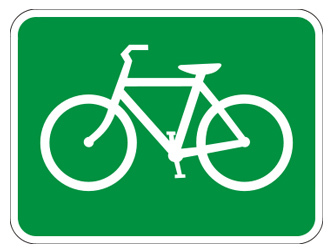 Yielding to Bicycles Before Turning Left or Right: Although Massachusetts motorists are already required to yield to bicycles before turning left, the new law now expressly includes yielding to bicyclists riding to the right of other traffic (on the shoulder of the road). Bicyclists are legally permitted to ride on the shoulder, but they may nevertheless be difficult for Massachusetts motorists to see at times. Helmet Availability: Massachusetts businesses who rent bicycles are now required to have helmets available to all customers. While children 16 or under are still required to wear helmets, customers may refuse to wear one, so long as they have the option. Safety Standard for Helmets: The acceptable standard for bicycle helmets is changed to reflect the standards of the U.S. Consumer Product Safety Commission. Bicycle riding is a popular form of transportation in Massachusetts; however, it can be extremely dangerous. A Massachusetts bicycle accident can stem from a number of circumstances. 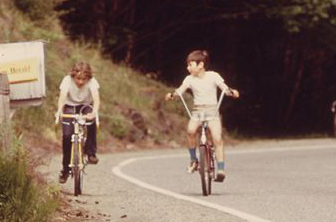 Bicyclists can be injured in Massachusetts accidents because of collisions with motor vehicles, attacks by dogs, and as a result of defective products. In most cases, a collision with a motor vehicle is caused by the negligence of the operator of the motor vehicle. The majority of Massachusetts bicycle accidents are caused by negligent Massachusetts motorists who are engaged in irresponsible driving, such as driving under the influence, running a red light, failing to yield the right of way, failing to pay attention to traffic signals and road signs, talking on a cell phone while driving, speeding and racing. In addition, in some cases, defects or performance failures of safety equipment or automotive components can also cause serious Massachusetts bicycle accidents and injuries. These types of Massachusetts bicycle accidents can result in the liability of a manufacturer or distributor for a bicycle accident victim’s injuries. A Massachusetts bicycle accident can easily result in serious or even life-threatening injuries. A motor vehicle may weigh in excess of 3,000 pounds, and a bicycle offers a rider no protection against a collision. Even a bicycle helmet may do little to protect the cyclist in a serious accident, and a cyclist may sustain significant head trauma, brain injury, spinal cord injury, broken bones, lacerations, internal injuries or even wrongful death. 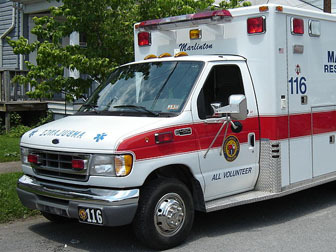 In addition, after a Massachusetts bicycle accident, medical bills can become overwhelming. If a loved one has been killed as a result of a Massachusetts bicycle accident, please call our expert team of Boston, MA bicycle accident wrongful death attorneys at 617-787-3700 or email us at info@gilhoylaw.com. Our Boston, MA bicycle accident attorneys know how to get you the fair and just compensation that you deserve, including payment of your medical bills and lost wages. Call us today at 617-787-3700. If a Massachusetts bicyclist is hit by a driver insured in Massachusetts, state law provides that there will be up to $8,000 in what is known as personal injury protection benefits (PIP, “no-fault” benefits) which can help pay for medical bills and lost wages of the injured bicyclist. These Massachusetts benefits are available even if the driver involved in the bicycle accident was not negligent. Our Boston, MA bicycle accident lawyers will determine how much the defendant has for insurance coverage, and look for other policies, such as the insurance on a car owned by the bicyclist or a family member, to help pay for the damages arising from your bicycle accident injuries. These Massachusetts damages can include medical bills, lost wages, and money for your emotional pain and suffering caused by the negligence of the responsible operator. Please call our Boston, MA bicycle accident attorneys today at 617-787-3700. Our Massachusetts bicycle injury lawyers will successfully handle your Massachusetts bicycle accident case, and recover damages on your behalf, including medical bills, lost wages, pain and suffering, and the cost to repair or replace your bicycle. In Massachusetts, there is a Statute of Limitations that applies to Massachusetts bicycle accident cases, so victims have a limited time in which to file or resolve their Massachusetts cases. If you believe that you have a legitimate Massachusetts bicycle accident case, you need to act immediately to protect your rights. If you or a loved one has been involved in a Massachusetts bicycle accident, please contact our experienced Boston, Massachusetts bicycle accident attorneys or highly skilled Massachusetts wrongful death lawyers at 617-787-3700 or email us at info@gilhoylaw.com to schedule a free and confidential initial consultation. 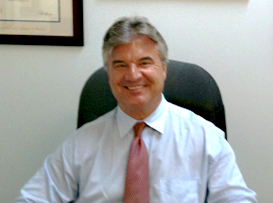 Our expert Massachusetts personal injury law office is here to help you. You have nothing to lose, and everything to gain. Our Massachusetts bicycle accident personal injury lawyers and Boston, Massachusetts bicycle accident wrongful death lawyers are proud to represent Massachusetts bike accident personal injury clients from throughout the Commonwealth. The Boston, MA Law Offices of Gilbert R. Hoy, Jr. and Affiliates is a group of Boston, MA personal injury attorneys from some of the best law offices in Massachusetts, including expert Massachusetts bicycle accident personal injury lawyers and Boston, MA bicycle accident wrongful death injury attorneys, who have been personally selected by Attorney Hoy because of their skill, experience and expertise. Many of the Boston, MA bicycle accident lawyers who are available to our Massachusetts clients through referral agreements have been repeatedly selected and recognized as among the very best lawyers in Massachusetts and, indeed, the country. In the event that you or a loved one has suffered personal injury damages or wrongful death damages as the result of a Massachusetts bicycle accident, the best thing that you can do is to hire one of our highly skilled Boston, MA bicycle accident lawyer experts right away. If you select one of the knowledgeable and expert Massachusetts bike accident attorney specialists at the Boston Law Offices of Gilbert R. Hoy, Jr. and Affiliates to represent you or your loved one, your needs will become our top priority. The Massachusetts bicycle accident lawyers at our Boston, MA law firm will use all of their legal expertise and extensive experience to most effectively handle your unique situation. Our Boston bicycle accident law firm is readily distinguishable from other Massachusetts law firms because our personal injury attorneys are compassionate and caring and will fight tirelessly on your behalf. 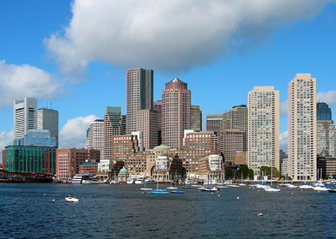 Our Boston, Massachusetts law office simply will not settle for second best. 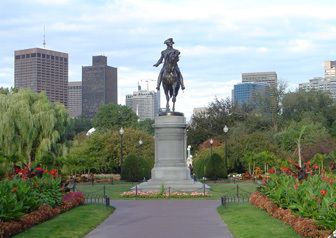 Our Boston, MA bicycle accident law office has some of the highest quality personal injury lawyers in the Commonwealth. The Boston bicycle accident lawyer professionals and Boston, MA wrongful death lawyer advocates at our Massachusetts law firm have represented many Massachusetts bicycle accident victims and the families of numerous Massachusetts wrongful death victims. If you or a loved one has suffered personal injury damages or wrongful death damages as the result of a Massachusetts bicycle accident, please contact our highly experienced and expert Boston, MA bicycle accident lawyer specialists and Boston, MA wrongful death lawyer advocates as soon as possible to help you get full and fair compensation for your Massachusetts personal injuries. With an experienced group of some of the very best Massachusetts bicycle accident lawyers that the Commonwealth offers, our Boston bicycle accident law office is confident that our handling of your bicycle accident claim will go beyond your expectations. Our over-riding goal is to provide you or your loved one with top of the line legal service and assistance with respect to your Massachusetts bicycle accident, while earning your confidence, loyalty, trust and respect. Our Boston, MA bicycle accident law office would be honored and pleased to represent you or your loved one, and we would be delighted to provide you with an initial free and confidential consultation with respect to your Massachusetts bicycle accident claim. Our Boston, MA Bicycle Accident Lawyer Experts Will Assist You 24/7. Please Call Today. Our Massachusetts Bike Accident Attorney Advocates Are Available at 617-787-3700.